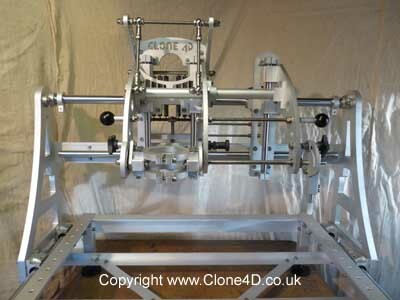 The Clone 4D has a true vertical plunge action. 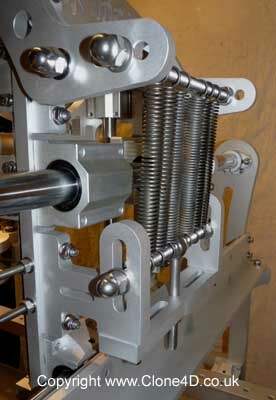 This enables the routing of perfectly parallel slots, grooves and channels. 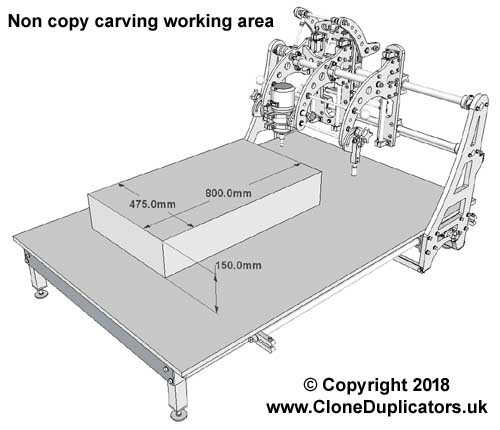 It also makes the Clone 4D incredibly stable and safe to use. Designed for 88.9mm (3.5 inch) and 106.7mm (4.2 inch) diameter round body routers. 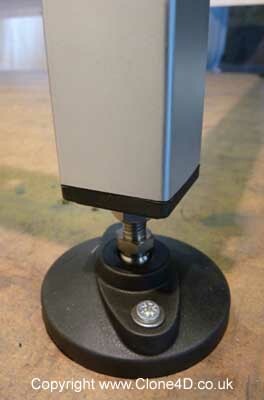 The router head can rotate 90 degrees in both directions and is lockable in 15 degree increments. 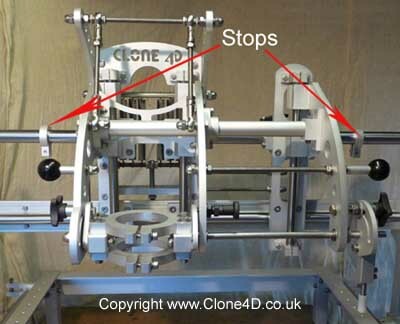 The router clamps can be replaced with the supplied (standard 43mm diameter) drill clamp, enabling the Clone 4D to be used as a very versatile drill press. 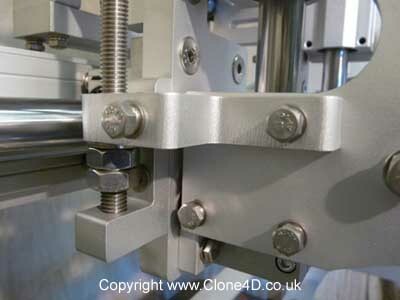 With the Clone 4D unique spring counterbalance system, fine adjustment can be made for effortless operation. Unlike the conventional single pivot (seesaw) counterbalance arm set up, the forces are constant throughout vertical movement. 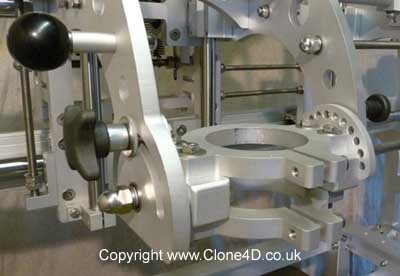 This makes the Clone 4D more stable and safer to use as well as causing less fatigue for the user. 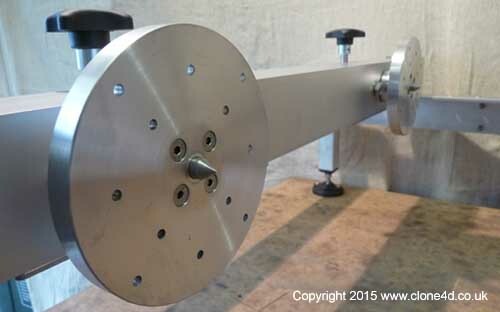 Two stops are fitted on either side of the main router assembly. 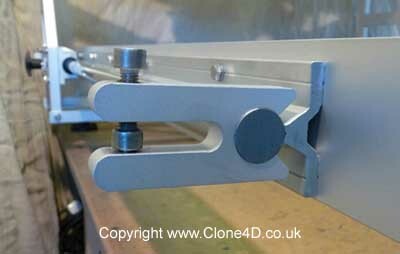 The main router assembly is fitted with an adjustable depth stop. Useful for adjusting the depth of cut. The main router assembly can be locked in any position along its axis. This can be applied when carving to prevent the router from wondering. It’s also useful when routing channels etc. Both main rail uprights are fitted with locks. These can be applied to prevent the router assembly kicking back when roughing out or when routing channels etc. 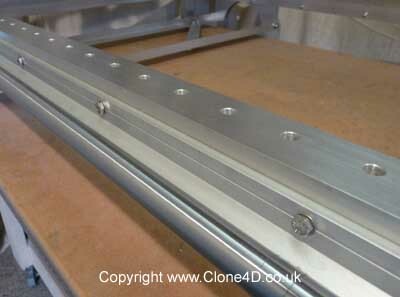 The main horizontal rails are fitted on the side of the Clone 4D. This maximises the work space and helps to keep it free from obstructions especially when a worktop is added. This can be seen in the duplicating a guitar body demo video. 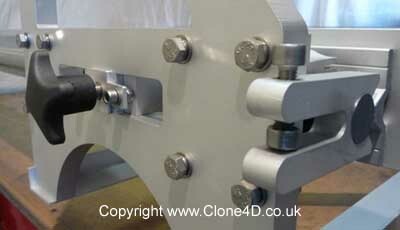 Both main bearing rails are fitted with stops at either end. These can be positioned anywhere along the length of the main rails. Stylus tips can quickly be changed to match the cutter. The stylus clamp assembly can also be removed when not copy carving. All four feet have fine height adjustment, making it easy to achieve a perfectly level machine. 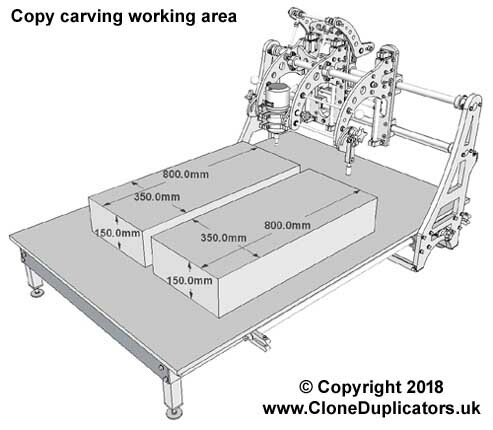 Designed to last, the Clone 4D is built from high quality, precision cut aluminum tooling plate with stainless steel nuts and bolts used throughout. 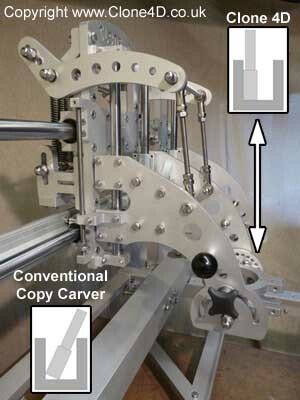 The rotating clamping system enables 360 degree copy carving. 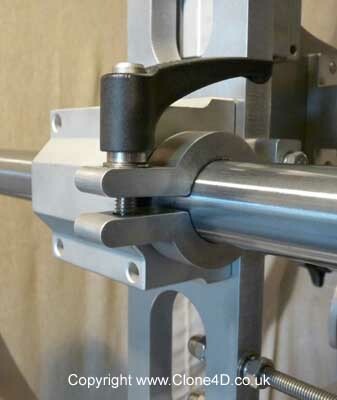 The rotating clamping system comes in two parts and is included as standard with all fully built machines. 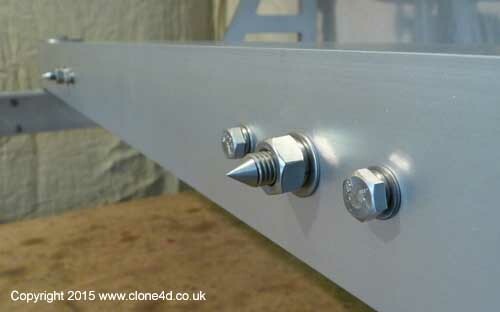 Unit One has two adjustable stainless steel centres. Unit Two houses the workings which enable the master and blank to rotate in unison. Having the workings inside the aluminium housing keeps the components free from dust and chippings. The main shafts on Unit Two can be locked to prevent them from turning when carving. The aluminium faceplates are removable.